Preview the 2018 Emerald Eve! We have an amazing night planned for the 2018 Emerald Eve. Preview our night by clicking our logo below to read the evening’s program! The 2018 Newsletter is here! Save the Date for the 2018 Emerald Eve! The 2018 Lemonade Challenge Is Here!! 2018 Dawn McGuinness Memorial Golf Tournament Registration is Open! The 2017 Newsletter Is Here! 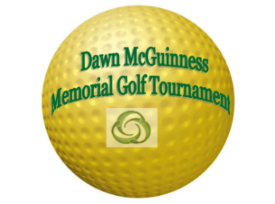 Dawn McGuinness Memorial Golf Tournament Registration is Open! The Donna M. Crandall Memorial Foundation has partnered with nationally acclaimed jewelry designer and artist Angela Moor to commemorate its 13th anniversary. Bracelets can be purchased by emailing Lisa Cheney. The cost is $50. Half of all proceeds go to the Foundation. Copyright Donna M. Crandall Foundation. All Rights Reserved.